Sophia Efstathiou is Researcher in Philosophy and Religious Studies at the program for Applied Ethics, NTNU. 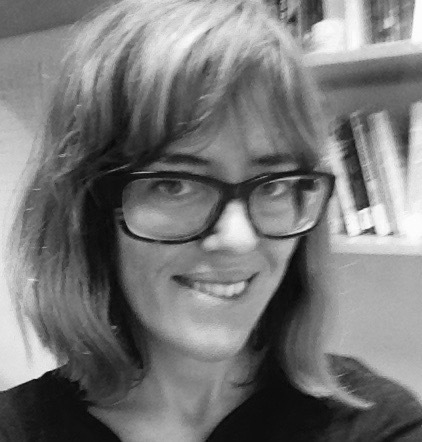 Her research interests include philosophy of race and medicine, the philosophy and practices of interdisciplinarity, and research into methods for “socially engaged” philosophy of science, such as action research, participatory-based approaches to philosophy and performance philosophy. Sophia has worked as part of science-humanities teams around issues such as modeling social and health care responses to population ageing, developing knowledge management tools for biology, biotechnological research into marine-based biopolymers and biofuel and developing “cultures of care” in animal-based research. Though consistently interested in science, Sophia´s work has moved from pure science (Master of Physics, Joint Honours in Math and Physics, Warwick; 2000), to philosophy of medicine (PhD, Philosophy and Science Studies, UCSD; 2009) and to ethical, legal and social aspects of science since at NTNU. Efstathiou has been especially interested in how boundaries between science and non-science emerge and get enacted, how common language gets transformed into discipline-specific jargon and practices which she thinks of as found science, by analogy to found art. She has taught at the University of California San Diego (2007) and Southampton University (2009-11). She has contributed performances in the Athens Biennale (2013) and Performance Philosophy School of Athens (2014); worked in Tino Seghal´s This Progress (2014) and taught Philosophy on Our Feet (Plato Summer School). Her work has been published in Philosophy of Science, International Studies in Philosophy of Science, Studies in History and Philosophy of Biomedical and Biological Sciences, Hyle. Her research has been awarded Max Planck, Andrew White and NSF grants. Sophia Efstathiou and Zara Mirmalek (2014), Interdisciplinarity in Action, in Cartwright N. and E. Montuschi (eds. ), Understanding Society: Methods, Evidence and Measurement in the Social Sciences, Oxford University Press, 233-248. Sophia Efstathiou (2012) How ordinary race concepts get to be usable in biomedical science: An account of founded race concepts, Philosophy of Science, 79: 701-713. October –November 2014 Interpreter in TIno Seghal´s artistic piece This Progress, in the Roman Agora in Athens. The situations were created by intercepting visitors who came to the Roman Agora ancient site in Athens and beginning a philosophical conversation with them choreographed on the archaeological site. Key topics I initiated discussion on were: what is the difference between knowledge and information, can one live many lives, the relation between eros and inquiry (erotisis) (works better in Greek!). October 2013 Athens Biennale. Invited performance ‘Ideobics’. The performance is based on combining ideas in holistic neurobiology with new age “positive thinking” to devise a set of bodily exercises that are aimed to accompany and reinforce positive ideas thus enhancing living in ideas, or ideobics as a counterpart to aerobics.